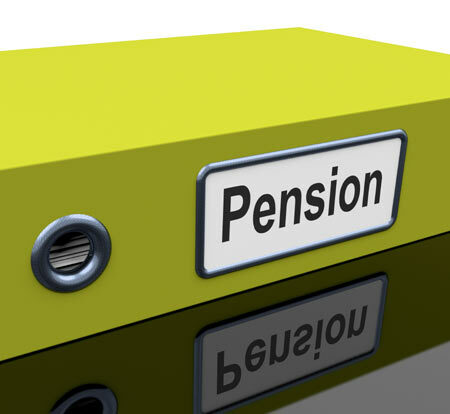 On 7 April the government’s pension reforms will come into fruition, providing unprecedented financial control to the UK’s retiree population. From its analysis of 10,000 UK pension planners, Avacade Future Solutions (AFS)today launches the Alternative Generation Report, carried out to further understand the intentions and opinions of the UK pension planner, ahead of the upcoming pension reforms. The analysis unearthed an overwhelming level of support for the government’s plans – with 89.9% declaring a desire for more control over their investments than they currently have.The Alternative Generation report underscored there forms to be acutely relevant, if not significantly overdue for the overwhelming majority of the UK’s retiree population. The launch of today’s insightsreflect a British public that is ill-prepared by way of savings and time, facts underlined by an overriding lack of motivation to save for their future. Consequently, a vast 92.2% said they would consider an alternative investment in order to maximise their retirement income. For today’s generation of nearly retired, the April reforms have catalysed the ability forgreater access to, and ultimate control offunds. Quite evidently, the UK’s nearly retired are no longer willing or able to compromise present-day financial security for that in retirement. Instead, Avacade’s 10,000-strong sample of active pension planners is turning to alternative methods of pension preparation that supports personal desires of a contented pre and post retirement life – an objective for which traditional solutions simply do not accommodate. The pension planner sentiment outlined in The Alternative Generation report is reinforced bya recent study from Aquila Capital4. The results revealed an increasing number of institutional investors are turning to real assets – direct investments such as metals, power or forestry – because equities and bonds are failing to deliver their target returns. The study also highlighted that the trend looks set to continue, with 60% of institutional investors polled expecting allocations to real assets to increase in the next three years. Further underlining the UK’s far-reaching appetite for non-traditional products, both amongst pension planners and retail investors, was Avacade’s research in 2014, the Alternative Investment Index (The AII). The study, carried out with around 200 retail investors throughout the UK, revealed that 87% who had invested in an alternative product, such as containers, stamps, fine wine or forestry, would do so again. Supporting the AII report, Coutts Passion Index3 revealed that ‘passion investments’, including classic cars, watches and wine, experienced an average increase in value of 77% between 2005 and 2014 – outperforming shares by a significant margin. The UK’s shift towards alternative investments suggests an acute, national requirement for speedier, high-yielding solutions to counter the alarming state of traditional pension provisions.